This Tramontina 4 Piece Stainless Steel Canister Set with Glass Lid offers quality and durability along with functionality, beauty and shine. 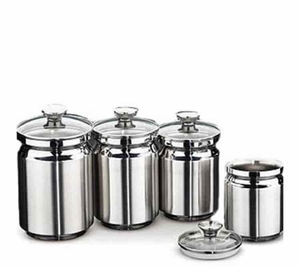 This 4 piece set of stainless steel canister will add convenience and style to any kitchen. Store all of your cooking essentials in Tramontina 4 Piece Stainless Steel Canister Set with Glass Lid. 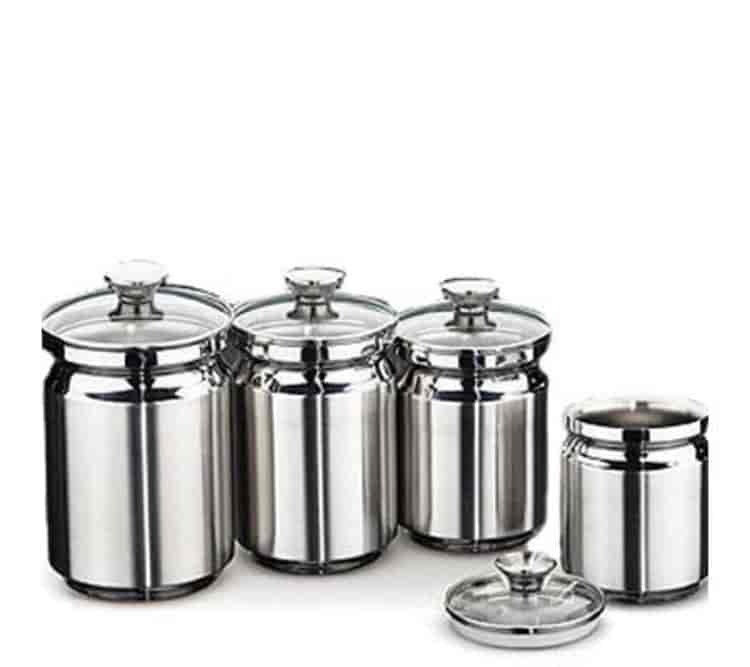 Constructed for long wear and durability, this glass-covered canister set is manufactured from premium-quality, 0.6mm 18/10 stainless steel. The canisters hold 40 ounces, 56 ounces, 64 ounces (2 quarts) and 96 ounces (3 quarts). Its contemporary yet eclectic design works beautifully in any kitchen. Made in Brazil, own the Tramontina 4 Piece Stainless Steel Canister Set with Glass Lid today.